On December 21, 2004, Neville Hobson and I connected on Skype and recorded a brief test. Neville was in Amsterdam, the Netherlands, and I was where I still am today, in Concord, California. Our recording process was complicated. There was no software for recording Skype calls. It had taken some searching followed by trial-and-error to cobble together a process that would let us produce this newfangled novelty called a podcast. Little did we know that we would continue producing FIR weekly (and, for a stretch, twice weekly) for 824 episodes over nearly 11 years. 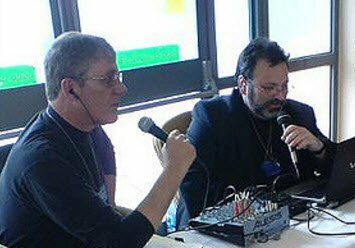 During that time, we transitioned through several easier and better recording configurations, introduced a tech-focused segment with Dan York, an Asia Report (first with Lee Hopkins, then Michael Netzley), worked through Neville’s return to the UK, produced live on-site episodes at a number of venues, bought increasingly expensive podcasting gear, added more podcasts to what eventually became a podcast network for audio communications content, got together in each other’s homes, came to know each other’s wives and families, attracted some sponsors, and made too many friends and professional connections to count. Neville hung up his microphone in September 2015 and I retooled the show and set the counter back to episode 1, but if you count the post-Neville episodes, FIR has been running for 907 episodes over more than 12 years. While Neville has made a couple appearances on the FIR panel, it hasn’t been quite the same as our weekly conversation. But on Monday, Neville and I will reunite — just the two of us — to record a show under the format that was at the heart of our Mondays for more than a decade. 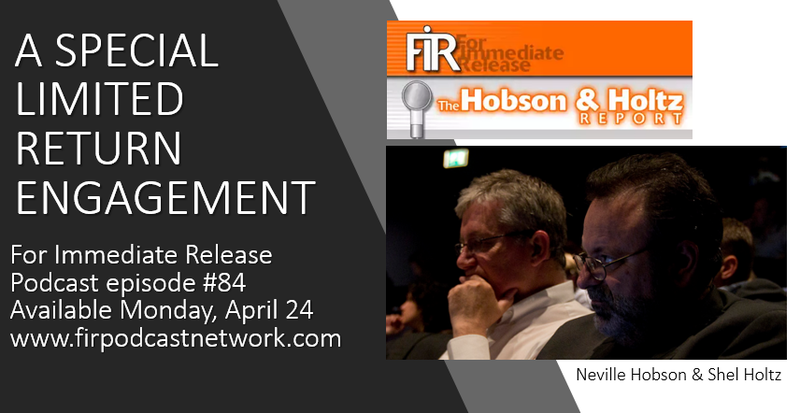 I hope you’ll listen after the show is published on the FIR Podcast Network.